American University of Sharjah issued the following announcement on July 10. 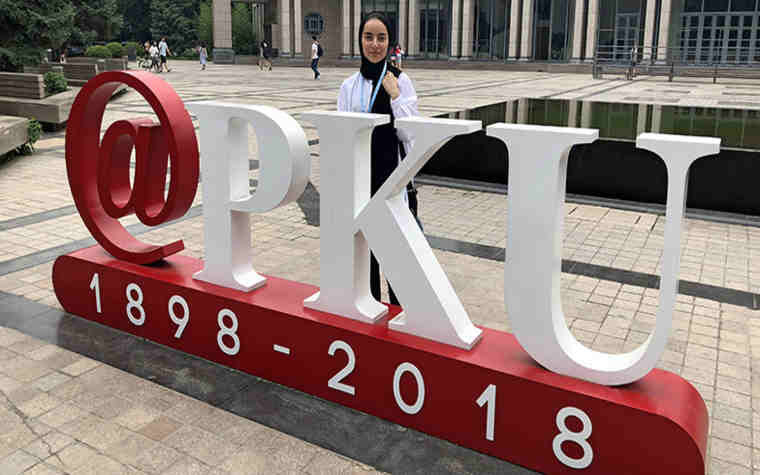 Maryam Almarzooqi from the Student Leadership Program (SLP) at American University of Sharjah (AUS), participated in the China-Middle East Youth Dialogue, held last week at Peking University in Beijing, China. Sixty young delegates from 12 Middle Eastern countries and China took part in the dialogue held under the theme “Shaping Future Development: Patterns and Orders.” Global politics, economics and higher education were among the main topics discussed. The dialogue aimed to develop leadership skills, embrace multi-cultural experiences and build constructive communication among the youth. “Participating in the China Middle East Youth dialogue was an eye-opening experience. The dialogue presented recognized speakers who discussed major aspects of Chinese-Middle Eastern cooperation. The dialogue thoroughly examined foreign policies of both China and Middle Eastern countries and whether they were in favor of future collaboration, specifically focusing on China’s neutral approach towards all regional powers. Various speakers with entrepreneurial backgrounds informed us about the strategic One Belt, One Road initiative that aims to facilitate trade within the region, inspired by the historical Silk Road,” said Almarzooqi, who is a sophomore, majoring in economics.